The above shot was taken at Porthcothan, Cornwall. Porthcothan is a magical place. I have my daughter to thank for telling about it. After my first camping trip there I was completely hooked. 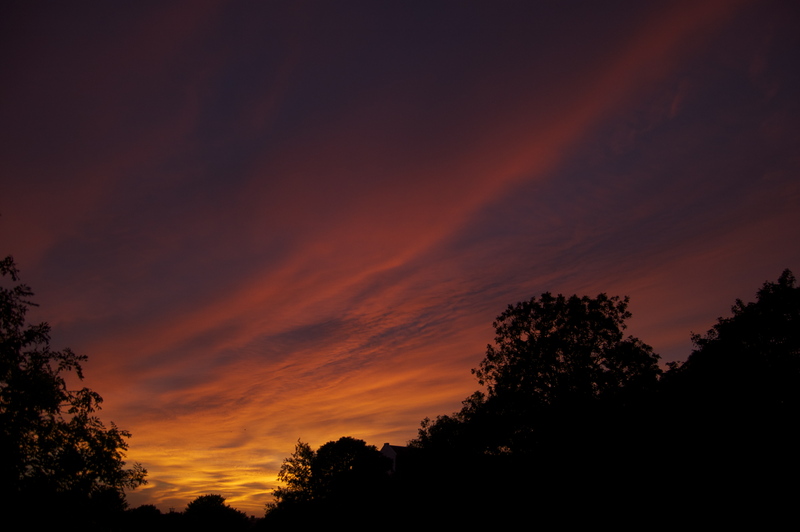 This is one of around twenty shots taken just outside my house. It was an amazing evening, the light changed so rapidly and I ran around the streets grabbing as many shots as I could before the light went completely. 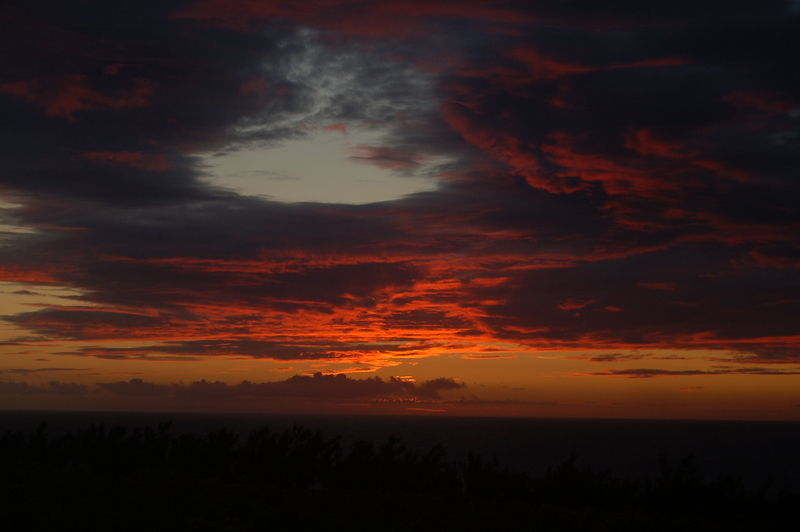 There is no photoshopping on these Sunsets, this is just the way they were downloaded from the camera. 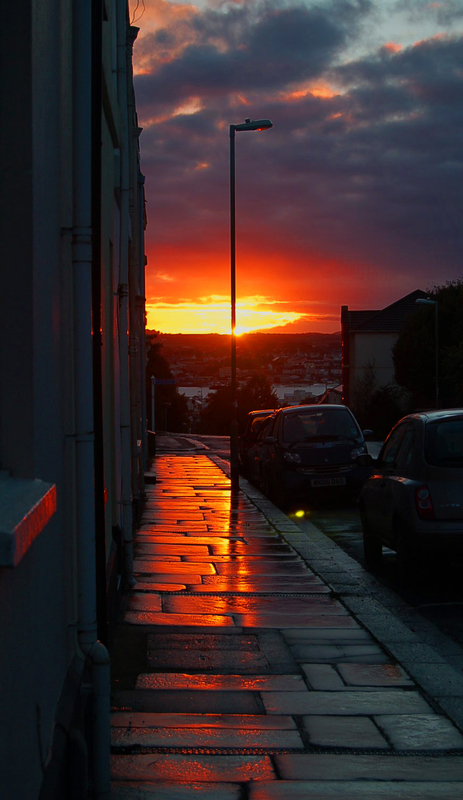 The view down my street, looking towards the river Tamar, wet paving after a downpour during a fabulous sunset. Great set, amazing sky in the first one!